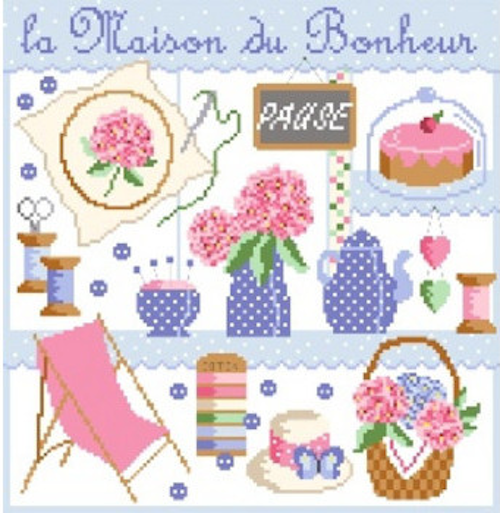 "Happy Break" is a cross-stitch chart with instructions translated in English. Special stitches: The is pure cross-stitch design with a few back stitches. This patterns show 18 colours (DMC references on the key).